Please enjoy a sampling of my images by choosing one of the image categories in the Portfolio section above or clicking a category below! 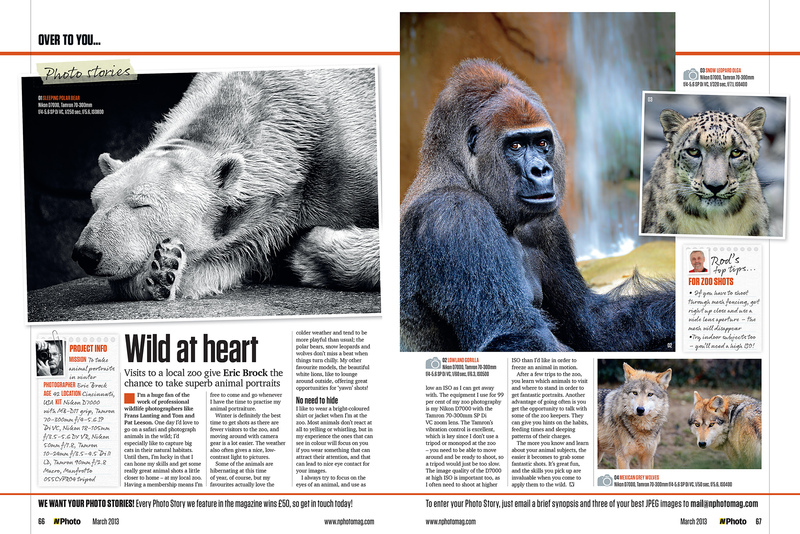 March 2013 Issue of N-Photo Magazine featuring my article on Zoo Photography. A sample of the Cincinnati Zoo’s Social Media use of my photographs. Proud member of the Fuji Love Reader’s Gallery! Heather Luxe article featuring my photography in Pinups And Kustoms Magazine. Just a brief note on the pictures presented on this webpage…Some pictures may appear a touch soft or pixelated due to the image compression from the internet. Also, colors on my computer monitors may look slightly different than they look on your monitors, so while I do my best to post the pictures as accurately as I can, there might be subtle color variances. Hopefully you enjoy them and come back to visit often, and feel free to leave some comments…I’d love to hear from you.